Not every person has a green thumb to make their yard look magazine-worthy. Even those who do have this skill often struggle to find the time. But whether you do it yourself or you hire a professional landscaping company, here is a checklist of spring and summer tasks that your landscape needs to look its best this time of year! Remove dead leaves, twigs, and other debris that may have blown into your flowerbeds. This takes nothing more than a rake! This is a simple and cost effective way to spruce things up. Prune and trim plants that are starting to get unruly. When spring hits everything starts to grow like crazy. Before you know it, the once neatly trimmed plants are out of control. A quick prune to shape them back up will add a neat and tidy look. Put down a fresh layer of mulch. Mulching your flowerbeds is a great way to freshen your things up. Over time mulch will start to fade and age into a grayish color. A layer of fresh mulch on top of your flowerbeds will add richness and depth to your landscaping. Fertilizing your lawn as little as three times a year can make a huge difference in the number of weeds you are seeing. It will also help your grass grow lusher and stay greener. Mow on a regular basis. The obvious reason to mow on a regular basis is so that you are not “that guy.” However, mowing on a regular basis has several other benefits as well. It helps eliminate harmful pests that can cause damage to your hard. The grass clippings are also a natural fertilizer for your yard. Add a splash of color. Adding annual flowers is a simple and cost effective way to brighten up your spring flowerbeds and front porch. Purchasing a flat of flowers for under $20 can take your landscaping from boring to wow. Depending on the weather, soil quality, and the type of landscape and garden you have, there will be extra care needed to keep your yard healthy and beautiful. You can try to do this yourself OR you can hire a professional to take care of it for you. If you do decide to hire a professional, consider their expertise, reputation, and communication. 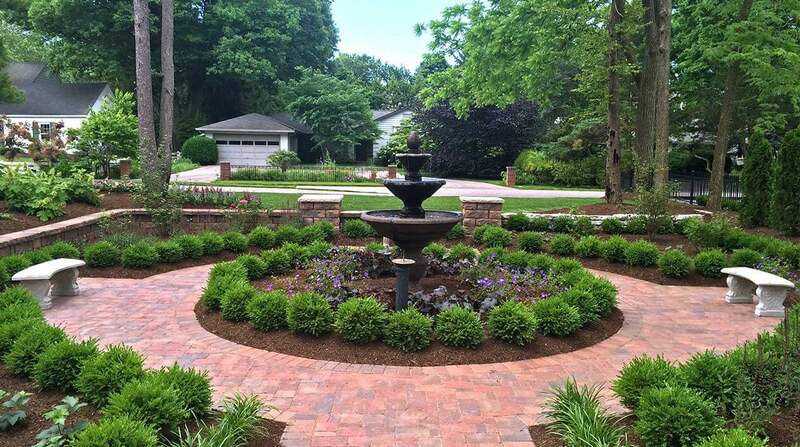 We are experts in landscaping and horticulture. It’s one easy flat monthly rate and you don’t have to coordinate multiple services or companies. You can spend time enjoying your yard!